4 Major Upcoming Construction projects aim to modernize San Diego sites. Find out about the newest development projects, when they are coming, and the potential obstacles ahead for them. 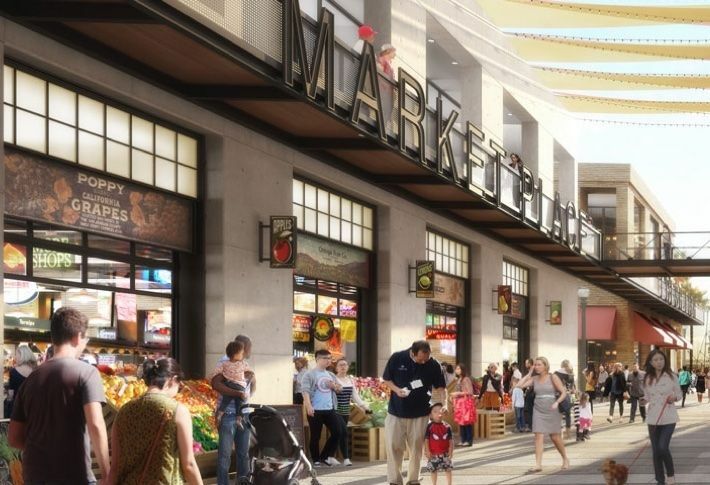 The Port of San Diego has big plans for the redevelopment of the central Embarcadero area, which includes the 14-acre shopping and dining tourist attraction Seaport Village. The new “Seaport San Diego” concept includes shopping, dining, hotel lodging, a movie theater, an aquarium, a charter school, and “The Spire” – a futuristic 500 – foot observation tower with glass elevators that carry visitors up to the exterior of the twisting structure. The size of the project and all the design, planning, and permitting means Seaport San Diego is still years from inception. Meanwhile, the current lease with TRC(formerly known as Terramar Retail Centers) for operation of the Seaport Village expires in September 2018. The Port will hear presentations for an interim Seaport Village operator in December, possibly to manage the retail and restaurant tenants there for another five years. 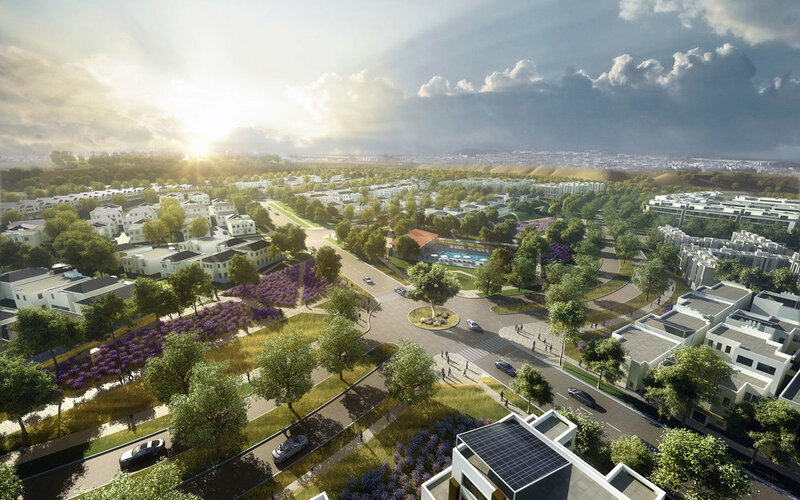 A 412 acre former gravel quarry in Mira Mesa could become a master-planned community with 1,800 residential units, 120,000 square feet of office space, and a 23 acre community park. It’s being touted as an energy-efficient, public transportation-friendly place where millennials could reside to be closer to work in North County, rather than enduring a commute from downtown. The hope is that the project will incorporate bike trails and a transit center for buses, shuttles, and ride hauling services. The environmental review will proceed through 2018, with a city council vote expected in 2019. Construction could run from 2021 to 2025. 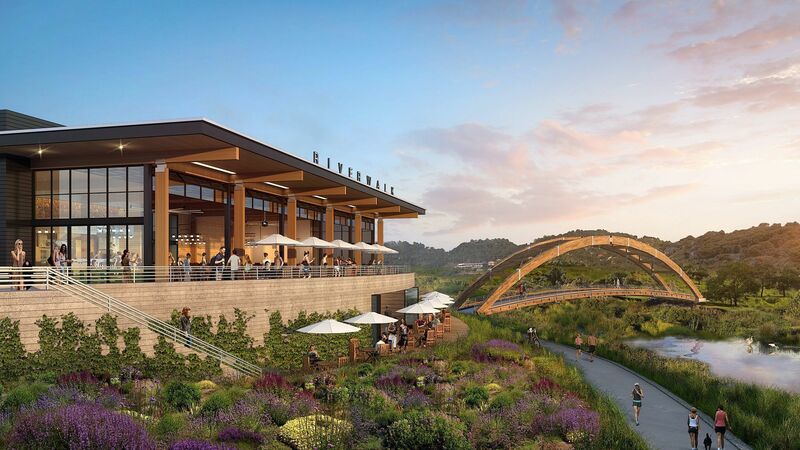 Mission Valley’s Riverwalk Golf Course is getting a total makeover as a master-planned community with up to 4,000 housing units, up to 1 million square feet of office space, a new trolley stop and an 80 acre park. The project will in no doubt vet concerns about increased density and more traffic in an already congested Mission Valley. Also, this area along the San Diego River is infamously flood-prone. The golf course is expected to stay in business until construction starts in 2021. The residences could be ready for occupancy by late 2022. 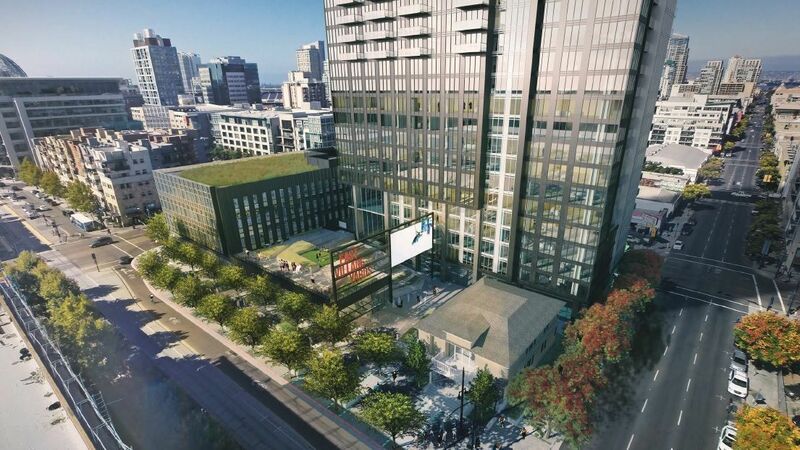 UCSD is expanding its campus to downtown’s East Village with the Park & Market project. The 66,000 square-foot urban complex is billed as an “innovative cultural and education hub.” with a mix of office and classroom space and an adjoining apartment tower with 426 units, an outdoor amphitheater, a restaurant, and underground parking. Housing affordability in urban San Diego can be an obstacle for college students and urbanites alike. The residential portion of the project is set to include 341 market-rate apartments and 85 low income units. Completion is expected in late 2020 or early 2021.